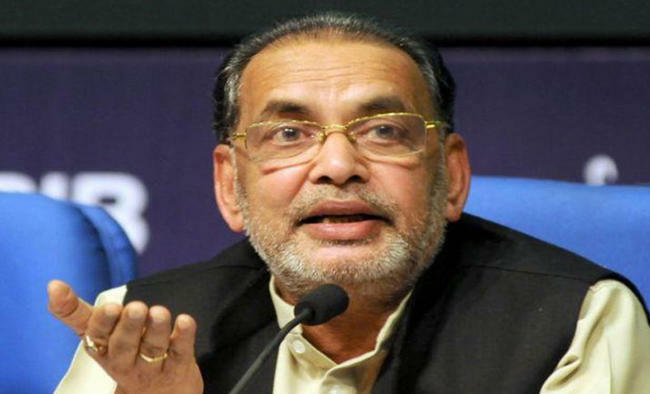 New Delhi: Union Agriculture Minister Radha Mohan Singh has sought the support of state chief ministers for the effective and speedy implementation of the Pradhan Mantri Kisan Samman Nidhi (PM-KISAN) to ensure expeditious transfer of benefits to farmers.He said the committed involvement of the administrative machinery was essential for the timely implementation of the PM-KISAN scheme. "I would request you to provide your able leadership for speedy implementation of this scheme so that the eligible small and marginal families are transferred the entitled benefits expeditiously so that they can move towards prosperity with renewed enthusiasm," Singh wrote in a letter to the chief ministers on February 6.In the Interim Budget, the government had announced Direct Income Support of Rs 6,000 per year to 12.5 crore small and marginal farmers with landholdings of up to 2 hectares under the scheme. Singh said that the selection of the eligible small farmer families must be done by the state governments by providing the Central online portal of the scheme with their essential details such as bank account numbers so that the first instalment of the benefit can be transferred to them.He also wrote that "adequate funds" had been provided in the Supplementary Budget 2018-19 as the scheme would be effective from December 2018, and operational guidelines had been sent to the chief secretaries of the states.